College, Clay worked at an outfitting shop in Cleveland while guiding for steelhead trout on the Lake Erie tributaries in Ohio and Pennsylvania. Following graduate school, he moved to Idaho where he built Hyde Drift Boats and guided on the South Fork of the Snake River. Clay now lives in Knoxville, TN with his wife Niki, toddler son, precocious 4 year old daughter, and their Labrador - Billie Holiday. He opened Smoky Mountain Gilles in 2007. 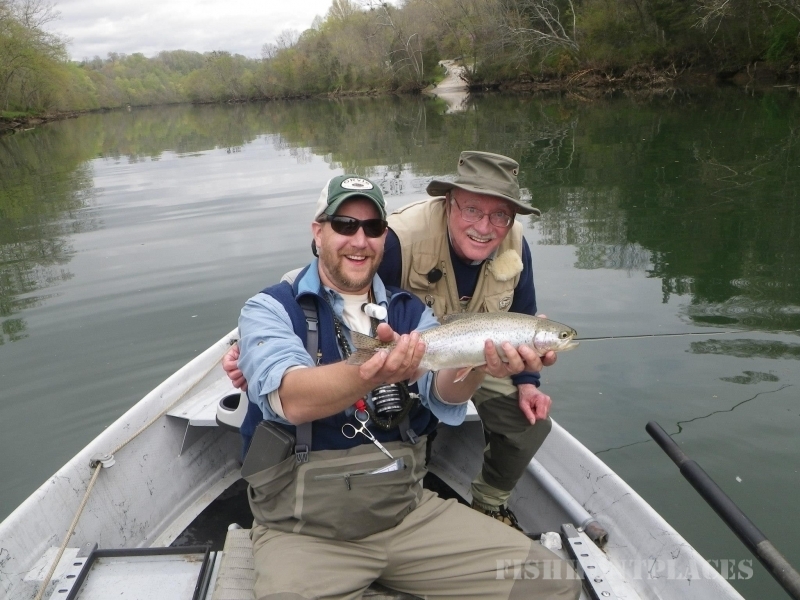 He is a graduate of an Orvis Endorsed Guide School in Colorado and has over a decade of guiding experience. Other guides you may be working with include Rob Fightmaster, and Doug Moore. All of our guides have many years of experience serving clients and providing exciting and safe fishing trips. Your satisfaction is of utmost importance to us and we will strive to provide you with memories that you will treasure for a lifetime.